Your won't want to miss this new listing in Brookstone. Only 2 years old and priced below other homes in the neighborhood. The home has been freshly painted all in the same neutral color. This home offers the open floor plan with a nice master suite with walk in closet, spacious bedroom and full bath and double sinks. This 3 bedroom, 2 full bath home has lots to offer. The large foyer is very inviting and offers space for a bench to take your shoes off before entering the main living area. The living room, kitchen and dining room are all open to each other and there is a custom island with seating at the bar. Great place to talk about your day while doing homework and preparing dinner. All stainless kitchen appliances are included in the kitchen. There is also a pantry here and access to the patio and back yard. The other two bedrooms are near the front of the home along with a second full bath that has tub/shower combination. The laundry room offers nice shelving and room to fold and sort clothes. The two car attached garage finishes off this well kept property. The home has all been painted in neutral colors and has a tank less water heater. Wood look vinyl flooring throughout most of the home and carpet in the bedrooms. Sellers are getting relocated and hate to leave this lovely home Nice fenced in back yard which backs up to a berm and not back yard neighbors. 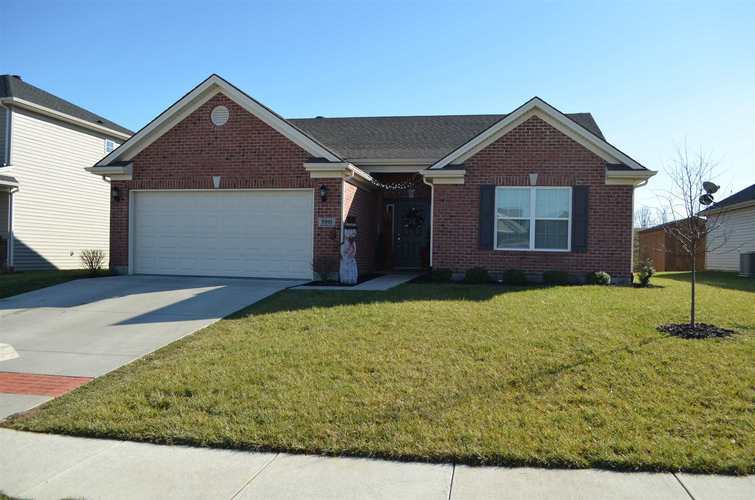 This subdivision is well desired and we want you to come take a look at this wonderful home.